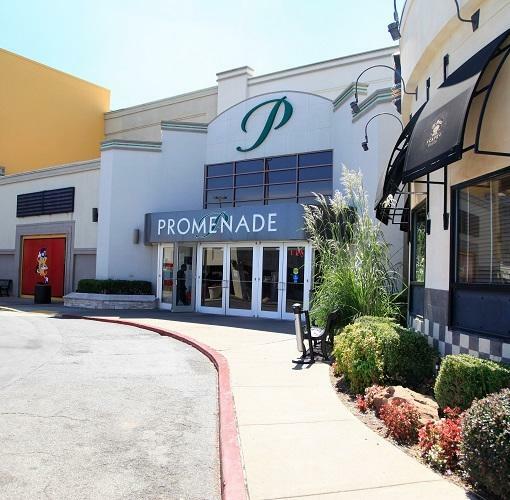 Tulsa Promenade Mall is located in midtown Tulsa and is anchored by JCPenney, Dillard's, and Sky Fitness & Wellbeing. This shopping and entertainment venue is also home to Hollywood Theaters, Aéropostale, The Buckle, Charlotte Russe, Hot Topic, Express and other popular retailers. Tulsa Promenade is conveniently located next to The University of Oklahoma and approximately 2 miles south of the Expo Square, State Fairgrounds and several hotels, many of which provide shuttle service for shoppers.